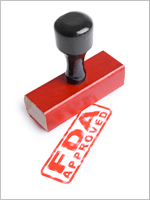 On May 22, 2017, the FDA expanded its approval of subcutaneous tocilizumab (Actemra) for the treatment of adult patients with giant-cell arteritis, a chronic and severe autoimmune condition. Tocilizumab is the first therapy approved by the FDA for the treatment of adult patients with this type of vasculitis, and was granted Breakthrough Therapy designation and Priority Review for this indication. Tocilizumab is a humanized monoclonal antibody that targets the interleukin (IL)-6 receptor. 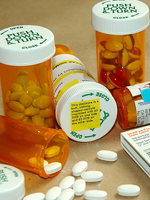 The drug was previously approved for the treatment of patients with moderate-to-severe rheumatoid arthritis (RA). To verify the efficacy and safety of subcutaneous tocilizumab, a double-blind, placebo-controlled clinical trial of 251 patients with giant-cell arteritis was conducted. Researchers behind the study established that the primary end point was the proportion of patients with a sustained remission (defined as the absence of symptoms, stabilization of laboratory tests, and tapering of prednisone) from week 12 through week 52. Rates of sustained remission were greater among patients receiving subcutaneous tociliz­umab plus prednisone than in patients receiving placebo plus prednisone. The cumulative prednisone dose was also lower in patients receiving tocilizumab than in those receiving placebo. The safety profile of tocilizumab gleaned from this trial was consistent with known safety data on the drug. In giant-cell arteritis—also referred to as temporal arteritis—inflammation leads to the narrowing or irregularity of arteries, which obstructs adequate blood flow. Although blood vessels in the head, especially the temporal arteries, are most involved in giant-cell arteritis, other vessels, including large ones (eg, the aorta), can become inflamed. Left untreated, giant-cell arteritis can lead to blindness, aortic aneurysm, or stroke. To date, treatment for this condition has been limited to high-dose steroids that work as effective emergency therapies to prevent damage, such as vision loss. Tocilizumab carries a boxed warning; patients treated with this drug who develop a serious infection should discontinue treatment until the infection is controlled. Receipt of live vaccinations should be avoided during treatment with tocilizu­mab, and the agent should be used with caution in patients who are at increased risk for gastrointestinal perforation. Hypersensitivity reactions have occurred with use of tocilizumab, including anaphylaxis and death. Because of potential consequences of treatment-associated changes in neutrophils, platelets, lipids, and liver function tests, laboratory monitoring is recommended. In addition, on May 22, 2017, the FDA approved sarilumab (Kevzara) for the treatment of moderate-to-severe RA in adult patients. The approval of sarilumab was based on data from 2 phase 3 clinical trials—MOBILITY and TARGET—of approximately 2900 adults with active, moderate-to-severe RA that inadequately responded to ≥1 antirheumatic drugs (eg, methotrexate). The use of sarilumab plus disease-modifying antirheumatic drugs (DMARDs) led to significant improvements in these patients. In the MOBILITY trial, signs and symptoms decreased, physical function improved, and there was significantly less radiographic progression of structural damage with the use of sarilumab plus methotrexate versus placebo plus methotrexate. In the TARGET trial, treatment with sarilumab plus DMARDs led to a reduction in signs and symptoms as well as improved physical func­tion compared with placebo plus DMARDs. Sarilumab is a human monoclonal antibody that binds to and inhibits IL-6 receptor–mediated signaling, and can be used as monotherapy or in combination with methotrexate or other conventional DMARDs. The recommended dosage of sarilumab—which can be self-administered—is 200 mg administered subcutaneously once every 2 weeks; however, the dosage can be reduced to 150 mg administered once every 2 weeks to help manage certain side effects (eg, neutropenia, thrombocytopenia, and liver enzyme elevations). 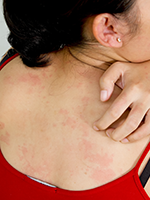 The most common adverse re­actions associated with the use of sarilumab in combination with DMARDs are neutropenia, increased alanine aminotransferase, injection-site erythema, upper respiratory infections, and urinary tract infections. Because sarilumab can lower the immune system’s ability to fight infections, patients receiving the drug are at increased risk for serious infections (eg, tuberculosis) that can lead to hospitalization or death. US Food and Drug Administration. FDA approves first drug to specifically treat giant cell arteritis. Press release. May 22, 2017. www.fda.gov/NewsEvents/Newsroom/PressAnnouncements/ucm559791.htm. Accessed June 8, 2017. Regeneron. Regeneron and Sanofi announce FDA approval of Kevzara (sarilumab) for the treatment of moderately to severely active rheumatoid arthritis in adult patients. Press release. www.prnewswire.com/news-releases/regeneron-and-sanofi-announce-fda-approval-of-kevzara-sarilumab-for-the-treatment-of-moderately-to-severely-active-rheumatoid-arthritis-in-adult-patients-300461766.html. Accessed June 8, 2017.